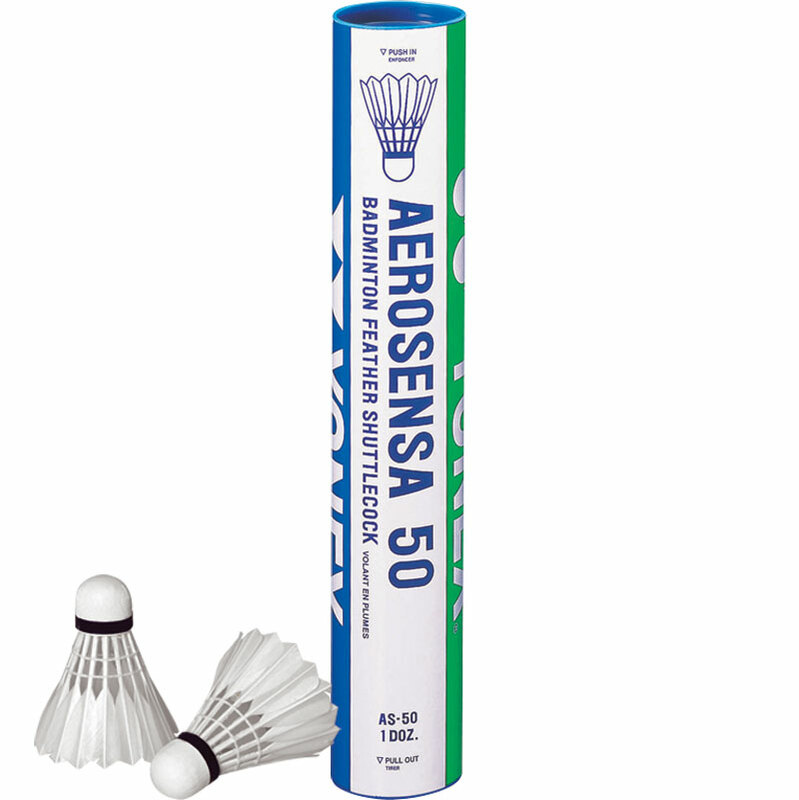 Yonex ® Aerosensa 50 Feather Shuttlecocks demonstrate accurate flight stability over distance under varying environmental conditions. In factory testing, Yonex AS-50 and other brands in the same price range were machine fired downcourt under identical stroke and distance conditions. AS-50 demonstrated consistently stable flight performance in these tests-with 71 percent of the AS-50 shots hitting the target, compared with 58 percent and 17 percent for feather shuttlecocks of other make. Price per dozen - 1 tube of 12. 1 or 2 bad shuttles in the tube but generally fly very well, are consistent and long lasting - you'd expect it with the price.